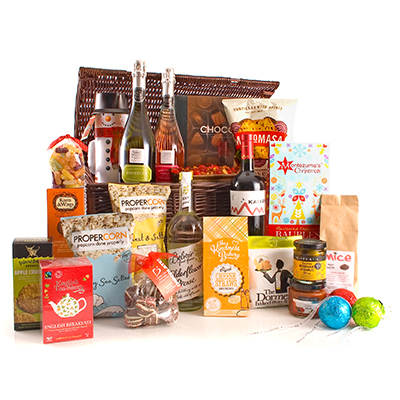 Get 15% off all delicious hampers with free named day delivery at Waitrose hampers online with offer code HAMPERS15. Choose from a range of beautifully presented food and drink hampers from Waitrose Wine, Flowers and Gifts a perfect gift for friends and family you may not be seeing over the festive season. Filled with gourmet treats from specialist producers the hampers start from £20 and include fresh cheese and meat selections for the whole family to enjoy, as well as elegant baskets ﬁlled with grown-up nibbles. Order by 20 December. Cheese cooler basket is usually £50, order it with code HAMPERS15 for £42.50 with free named day delivery. 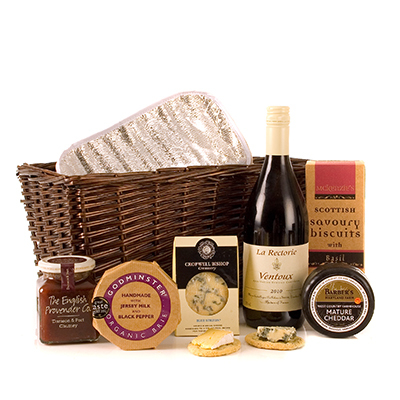 The Cheese cooler basket is packaged in an insulated willow basket with a selection of fine cheese, chutney and biscuits to make a wonderful gift for lovers of cheese. From Stilton to Brie, there’s everything you need for a Christmas day cheese tasting board. 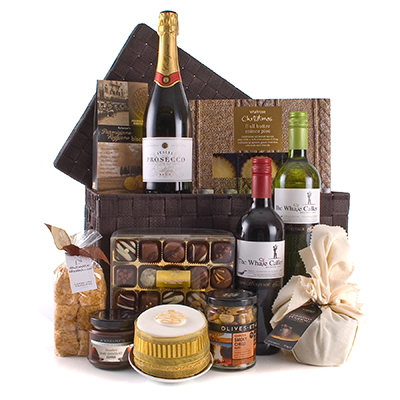 The Temptation Hamper is usually £75, order it with code HAMPERS15 for £63.75 with free named day delivery. This is a delicious festive hamper including two bottles of wine, treats and a Christmas pudding. The Christmas Cheer Box is usually £30, order it with code HAMPERS15 for £25.50 with free named day delivery. This box is full of sweet and savoury treats makes the perfect gift, guaranteed to spread cheer this Christmas. From crisps and nuts to festive biscuits, there’s an array of delicious goodies inside, including a Christmas pud! The Festive Sparkle Hamper is usually £100, order it with code HAMPERS15 for £85 with free named day delivery. San Leo Prosecco with delicious cheese and meats make the perfect festive buffet. Waitrose Family Christmas Hampers are usually £175, order it with code HAMPERS15 and it is only £149 with free named day delivery. Complete with 21 items there’s something for everyone including fizz for the adults and treats including olives, Haribo and Montezuma’s chocolate! 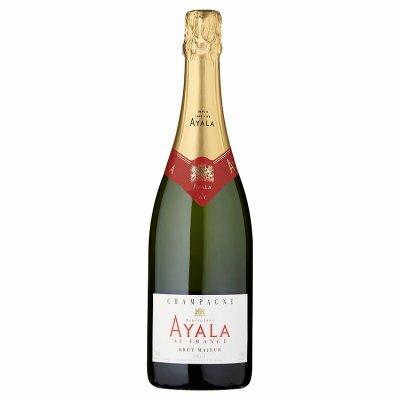 Save £15 at Waitrose when you spend £100 or more on wine, fizz and spirits. Offer includes free delivery in 3 working days when you use offer code 15DEC2013. Offer valid until midnight on 6 December 2013.